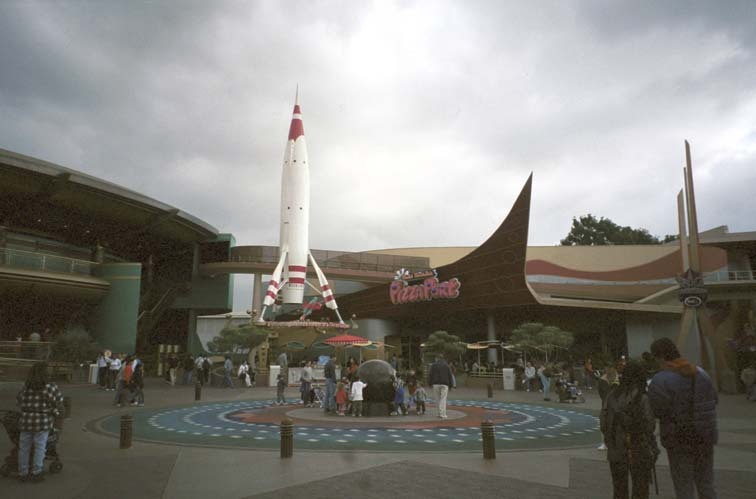 In Tomorrowland, we rode Space Mountain, Star Tours, and saw "Honey, I Shrunk the Audience". We ate at Red Rocket's Pizza Port. Thomas played at Starcade. We went back over and over again to the friction-free marble sphere. Here is Pizza Port and the marble sphere. It was overcast on Thursday morning. By Friday it was clear and much more crowded. 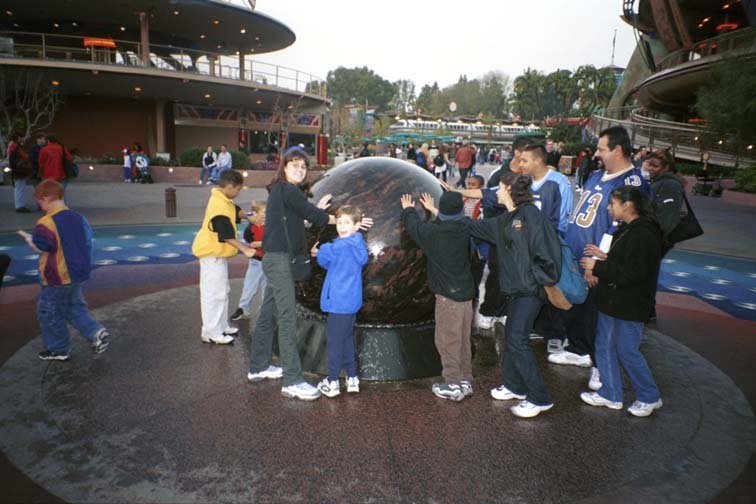 Thomas is on the right of the marble sphere in his blue jacket. 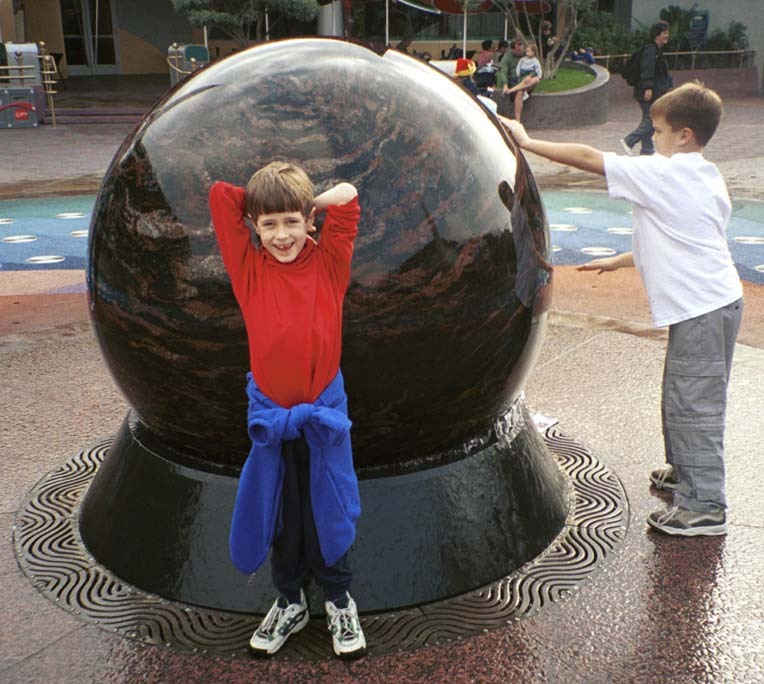 The sphere appears to be solid marble and probably weighs several thousand pounds. It sits on a form-fitted platform that is continuously flooded with water. The sphere moves as people push it, in whatever direction they push. It even can be stopped, with great effort. It's later in the day. We're back and and Thomas has taken off his jacket. We're back to the marble sphere on Friday. Here are Lucy and Thomas. Tomorrowland was more crowded by Friday afternoon. 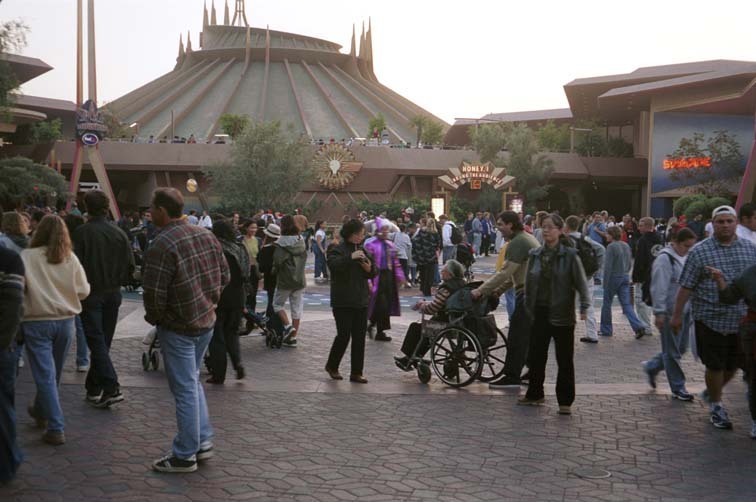 Disneyland was remarkably handicapped-friendly. Nearly every ride had a special loading area for wheelchair patrons.